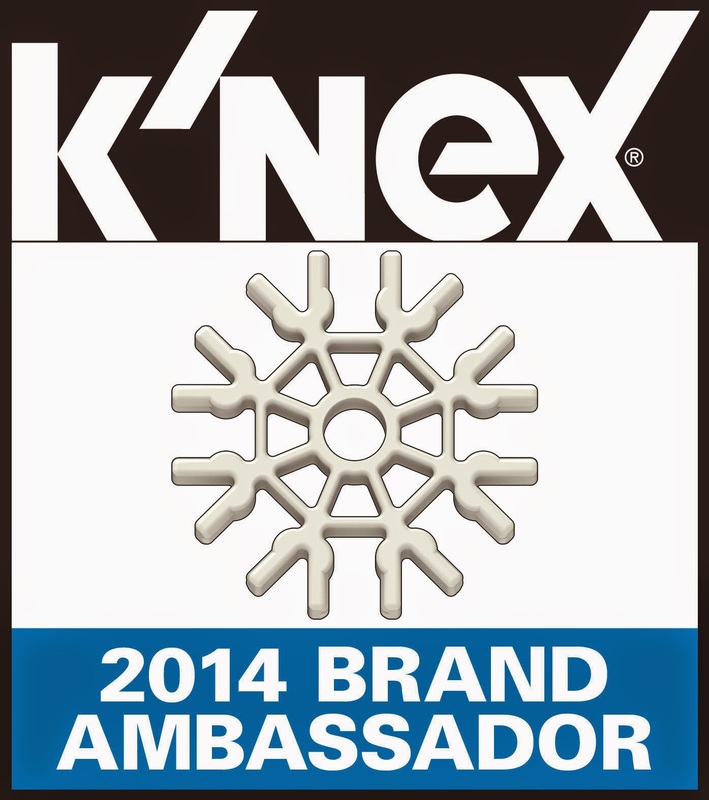 I introduced to you all earlier in the year that we were chosen to be a Brand Ambassador for K'NEX. I absolutely love this brand and the products that they offer. 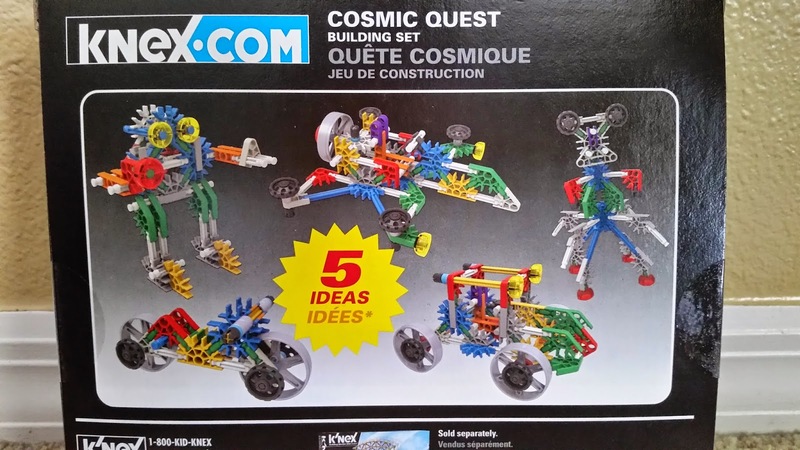 This review is for a set called the Cosmic Quest Building Set. My son, who is 10, had a blast building the 5 ideas that they supply you with in the instruction booklet. I will refer to them by what he named them. There is a Robot, Spaceship, Alien, Rover and Motorcycle Cruiser. For this review we are highlighting the Robot that he built. He actually shocked me on how fast he built it. He said it was so easy. He said he choose that one because he really liked the red laser that the robot was holding. What I love is that they give you suggestions and instructions on things to build, but it doesn't stop there. My kids can then use their imaginations and create their own. We made our own car and motorcycle too with the set. They can literally spend hours sitting and creating things with their K'NEX. 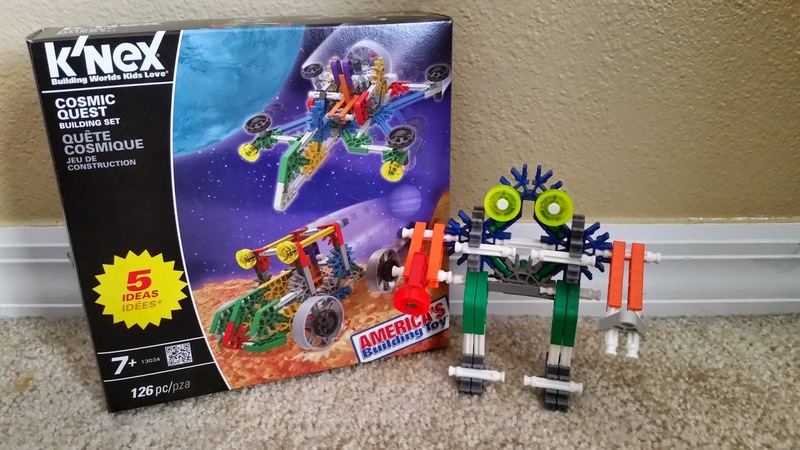 We have been honored to have reviewed several sets for K'NEX and invite you to do a search on our blog to view them all. All of the pieces are very durable and stay together very well. This is always a plus to find toys that are going to be dependable and hold up to my kids. My kids are not usually rough with their things but after they use them over and over some tend to wear down. We have not had this problem at all with any of our K'NEX. Please be sure to stay up-to-date with K'NEX on their networking sites too. We are also excited that we get to offer a giveaway to you all for this exact same set. Just look below for the entry form and Good Luck! I am sure he would Sandra. Good Luck!! It most certainly will be good for your grandson. I homeschool my children and love to have them use items like this for those same benefits. Your very welcome and Good Luck!! I am sure he would love it Shelly. Good Luck! I would like to win it for my children. I would like to win this for a little boy in our church. That is so sweet Michelle and Good Luck! Oh I would love to win this for my autistic nephew! He loves to sit and build things and would really enjoy this! This set would be perfect for your nephew. Good Luck!! I would love to win this for my son because he loves Knex! I would love to win this for my son. He could use some new toys, and Christmas is a long way away! My son loves assembling and creating things and I would love to win this for him to spark his creativity. I would love to win this for my grandson. He loves building things and it would keep him busy this summer.